Cowork space in downtown Rock Hill, a long time dream of visionary and entrepreneur, Jason Broadwater, will open its doors in the Citizens Building on Main Street this January. 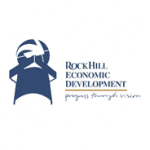 To share the concept of this creative work environment and showcase the new space with potential occupants, Rock Hill Economic Development Corp along with York Tech and other partners will host a catered event at The Hive on Thursday, November 29. RHEDC’s strategies for attracting new business to our area and fostering high-tech jobs for our college grads is built on the growing ideal that life and work are no longer separate entities but, rather, enjoyed simultaneously resulting in a lifestyle experience rooted in urban renewal. Cowork, which is all about lifestyle, urban renewal and supporting the creative class, features shared common space complete with boardrooms, internet access, printers, kitchen and relaxation areas. Inclusive of the shared space is an energetic, inventive and productive atmosphere generated by occupants who push ideas and results forward in a collaborative spirit. It’s an appealing environment and lifestyle to a new generation of workers, one that has community benefits far outside cowork walls. The Cowork Event will be hosted at The Hive, located on the third floor of the Citizens Building at 157 E Main Street on Thursday, November 29, from 5:30 to 6:30PM. Share the post "November Open House for Cowork Prospects Rallies Rock Hill’s Collaborative & Creative Business Community"